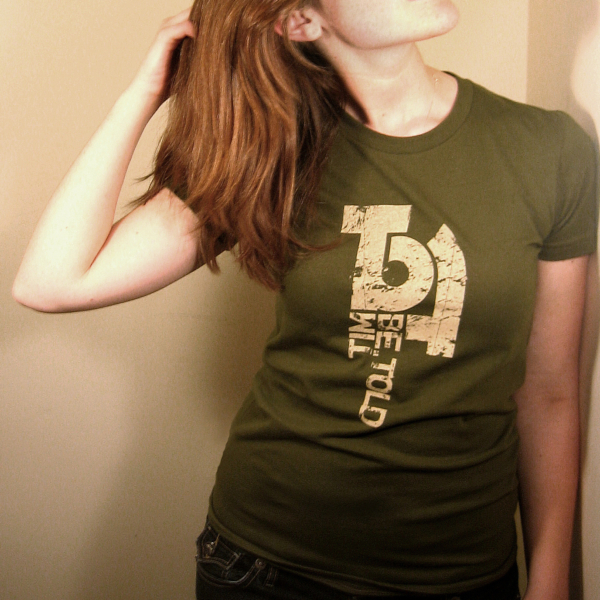 American Apparel Olive Tee with classic Tim Be Told logo. Soft to the touch and 100% cotton. 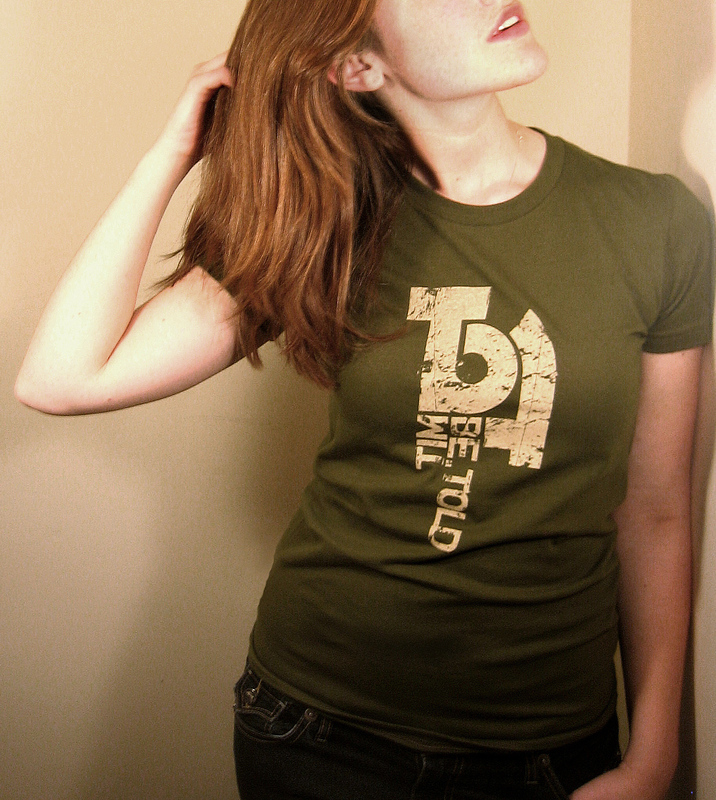 American Apparel Olive Tee with classic Tim Be Told logo. 100% cotton.